Una O’Connor as Mrs. Hall in THE INVISIBLE MAN (1933). 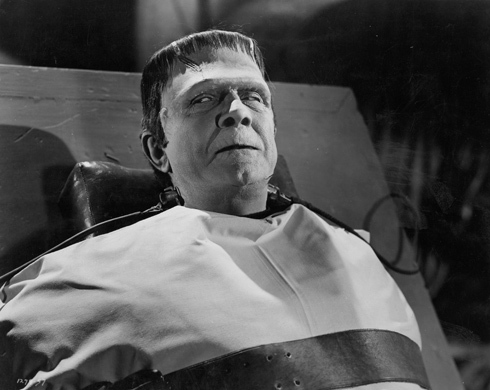 Welcome everyone to another edition of In The Shadows, the column where we honor character actors from the movies, especially horror movies. Today we look at the career of Una O’Connor. 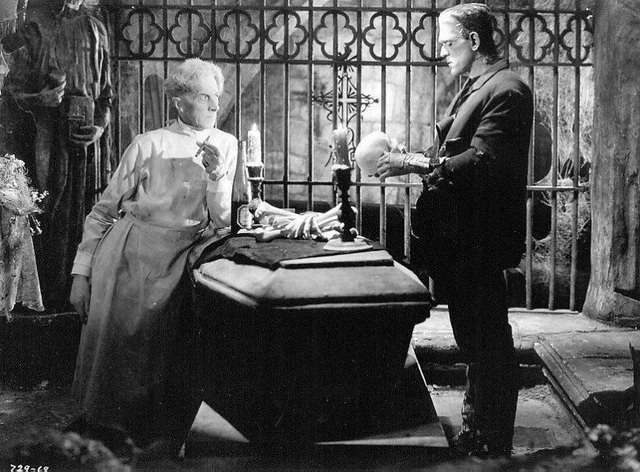 Una O’Connor made a ton of movies, 84 screen credits in all, but to horror fans, she’s most remembered for her roles in two classic Universal monster movies, THE INVISIBLE MAN (1933) and THE BRIDE OF FRANKENSTEIN (1935). When I was a kid, I used to call her “the screaming woman” because her shrill cries were unforgettable. I think she could give Jonathan Harris’ Doctor Smith on the classic TV show LOST IN SPACE (1965-68) a run for his money, and anyone who’s seen him shriek on LOST IN SPACE knows what I’m talking about. 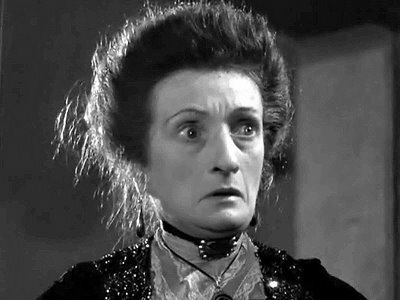 Una O’Connor often provided the comic relief in the movies in which she appeared, and her appearances in both THE INVISIBLE MAN and THE BRIDE OF FRANKENSTEIN are no exception. In THE INVISIBLE MAN, she plays Mrs. Jenny Hall, the owner of the tavern in which Claude Rains’ mad Dr. Griffin happens upon one snowy night, entering the crowded tavern all wrapped in bandages. 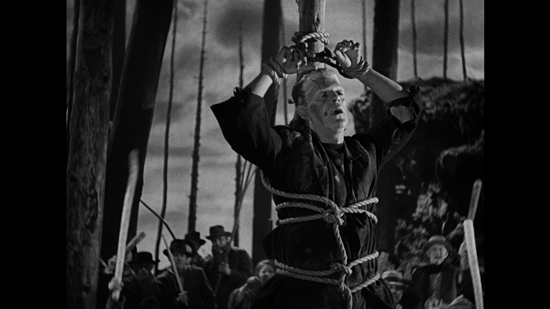 It’s one of the grander entrances of all the Universal monsters. As Mrs. Hall, O’Connor enjoys a bunch of scenes muttering her displeasure over Griffin’s eccentricities, and she also has the pleasure of being thrown out his room. When she sends her husband upstairs to physically toss Griffin off the premises, and Griffin returns the favor by throwing Mr. Griffin down a flight of stairs, Mrs. Hall responds with her signature shrieking and wailing, a scene that makes me laugh out loud each and every time I see it. 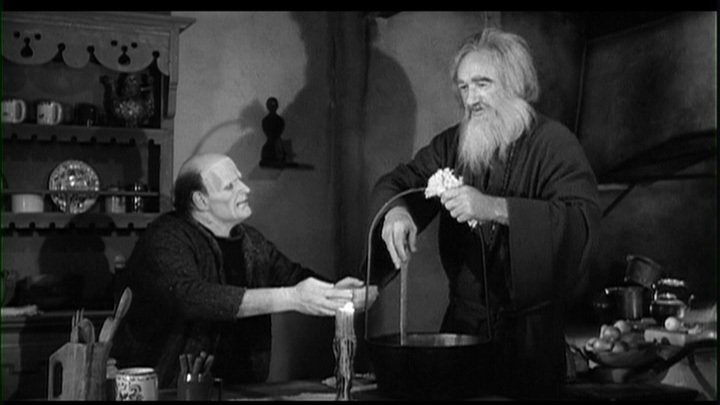 In THE BRIDE OF FRANKENSTEIN, O’Connor plays Minnie, one of the head servants in the Frankenstein household. She enjoys some memorable scenes in this one. 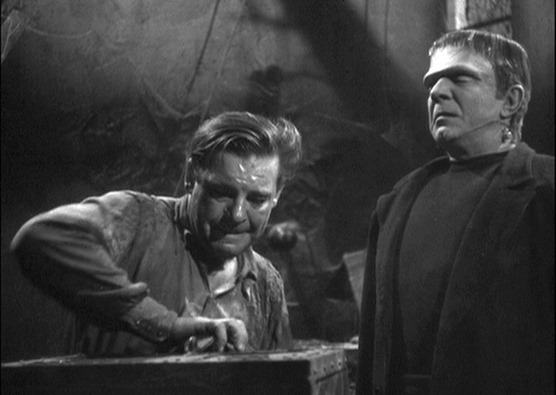 She’s the first character to see that the Monster has survived the fire in the windmill at the end of FRANKENSTEIN (1931)— or at least the first character to see him and survive. The Monster had already killed the parents of Maria, the little girl he drowned in the first movie, but when he happens upon Minnie moments later, she shrieks at him and runs away. Being the wise Monster that he is, he leaves her alone. 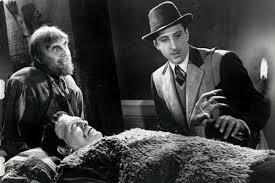 She also gets to introduce the memorable and iconic character Dr. Pretorious (Ernest Thesiger) to Henry and Elizabeth Frankenstein, when Pretorious arrives at the door and demands to be announced. No one says “Pretorius” better than Una O’Connor! So, for those of us who grew up with the Universal monster movies, we know and adore Una O’Connor, based on those two performances alone. DARK RED ROSES (1929) – Mrs. 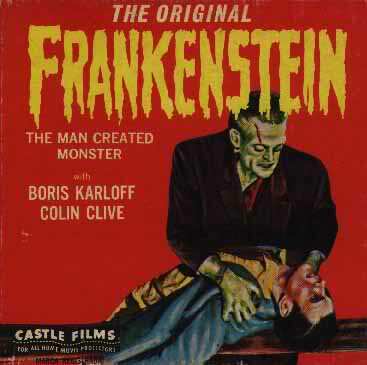 Weeks – O’Connor’s first movie, a drama about a sculptor who plots to chop off the hands of his wife’s pianist lover. MURDER! (1930) – Mrs. Grogram- lends her support to this early Alfred Hitchcock thriller. 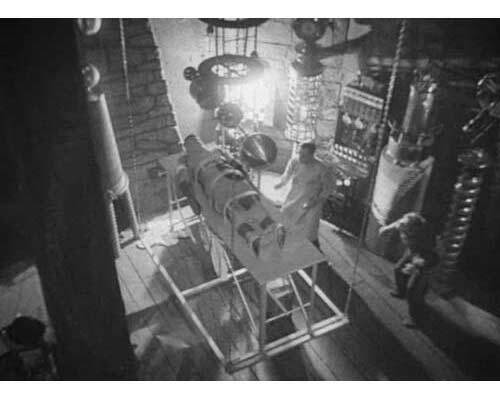 THE INVISIBLE MAN (1933) – Mrs. Hall – Poor Mrs. Hall. You shouldn’t have sent your husband up those stairs. My favorite O’Connor role. Her cries can wake the dead. ORIENT EXPRESS (1934) – Mrs. Peters – Murder on a train. CHAINED (1934) – Amy, Diane’s Maid – Romance starring Joan Crawford, Clark Gable, and Otto Kruger. O’Connor plays Crawford’s maid. THE BARRETTS OF WIMPOLE STREET (1934) – Wilson. Period piece drama/biography starring Charles Laughton and Fredric March. 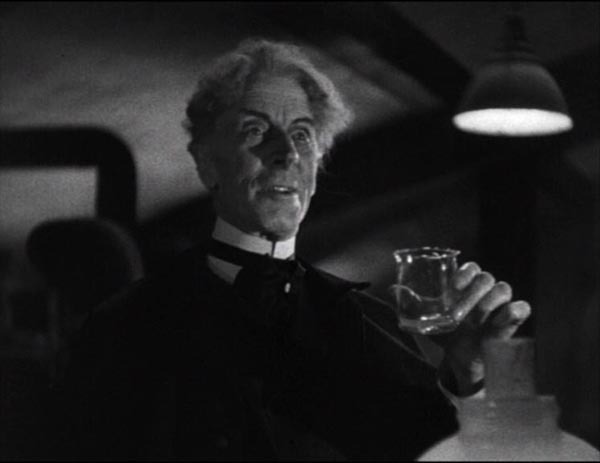 DAVID COPPERFIELD (1935) – Mrs. Gummidge – George Cukor directed this version of Charles Dickens’ novel, which also featured Elsa Lanchester who would co-star with O’Connor in THE BRIDE OF FRANKENSTEIN. 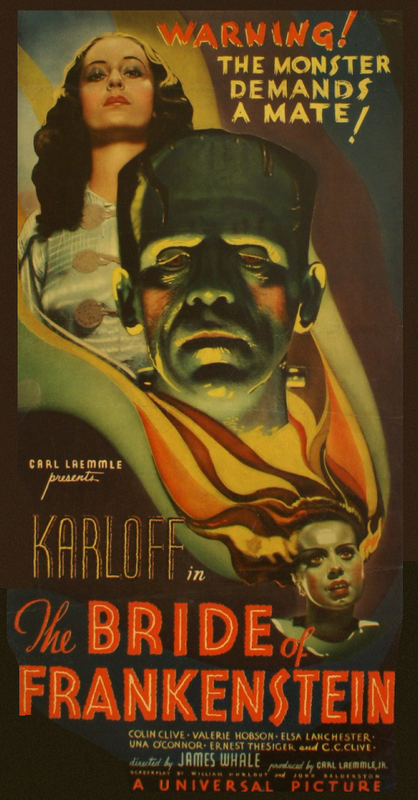 THE BRIDE OF FRANKENSTEIN (1935) – Minnie – adds memorable support as Minnie the main servant in the Frankenstein household in this all-time classic monster masterpiece by director James Whale, starring Boris Karloff as the Monster and Elsa Lanchester as his bride. O’Connor’s best line: Dr. Pretorious? Pretorious? THE INFORMER (1935) – Mrs. McPhillip – John Ford-directed drama. THE ADVENTURES OF ROBIN HOOD (1938) – Bess – Classic adventure starring Errol Flynn, Olivia de Havilland, Basil Rathbone, Claude Rains, and Patrick Knowles. THE SEA HAWK (1940) – Miss Latham – Sea adventure directed by Michael Curtiz, starring Errol Flynn and Claude Rains. THIS LAND IS MINE (1943) – Mrs. Emma Lory – World War II drama— contemporary at the time— directed by Jean Renoir and starring Charles Laughton, Maureen O’Hara, and George Sanders. THE CANTERVILLE GHOST (1944) – Mrs. Umney – Comedy fantasy based on the Oscar Wilde story about a cowardly ghost starring Charles Laughton, Robert Young, and Margaret O’Brien. THE BELLS OF ST. MARY’S (1945) – Mrs. Breen – Bing Crosby reprises his role as Father O’Malley in this well-made sequel to GOING MY WAY (1944), about Crosby running a Catholic school and butting heads with nun Sister Mary Benedict, played by Ingrid Bergman. WITNESS FOR THE PROSECUTION (1957) – Janet – O’Connor’s final role, in this Billy Wilder directed version of the Agatha Christie story (Wilder also wrote the screenplay), starring Tyrone Power, Marlene Dietrich, Charles Laughton, and Elsa Lanchester, Won Oscars for Best Picture, Best Actor for Laughton, and Best Supporting Actress for Lanchester. Una O’Connor died on February 4, 1959 from a heart ailment at the age of 79. Una O’Connor: October 23, 1880 – February 4, 1959.